Hi Friends! Today we are going to talk about a new trick about Instagram. We know all of us are big fans of Instagram and not even a single day of ours goes without surfing or posting something on Instagram. Instagram is the next biggest sensation after Facebook and in fact, it has become even more popular among youngsters than Facebook, and we all know that’s the reason why Facebook bought the company. Instagram started like a repository of beautiful photos and slowly it grew to incorporate more and more features on its platform that users love to use. From becoming your favorite camera filter to taking over the popularity of other social media apps such as Facebook and Snapchat, Instagram has moved upwards and onwards slowly and steadily. If we talk about your favorite features on Instagram, then what would it be? The features like a boomerang, reverse video, and 24-hour disappearing stories are some of the best features that we all are addicted to. But one such feature that got high attention from Instagrammers and was the highlight of Instagram in recent times was the ability to post stories just like the rival snapchat. Stories are something that even got the attention of WhatsApp and Facebook. With stories came live videos, where users could simply start recording whatever they wanted to and post it live on Instagram. When using Instagram, many of us often get an urge to save our favorite videos, photos or stories that we like or the posts that our friends or crushes put there. Unfortunately, Instagram doesn’t let you download the photos, stories or any other posts done by your friends. Though you can easily take screenshots of photos, it is not possible to save videos directly from Instagram as it is not as easy as taking screenshots. Today, we are going to talk about the tricks that will help you to download someone’s Instagram live video, even though Instagram doesn’t provide an option to download that. Let us take a look at various methods to download Instagram live videos online. For the users of iOS, it is even simpler as the new iOS 11 control center provides a built-in recording feature. Now you might have already got it that saving a video from Instagram live feed is as easy as recording it while it’s live or after it is posted as a story. Even after the live video is over, many users still choose to put those live videos as stories for the next 24 hours to get more viewership. Hence, there are two options to save Instagram live video, one is when it is happening live and the other is when it is posted as a story by a user. Those who use android know that there is an app for everything on the play store. Android has given so much flexibility to the developers that almost anything can be developed that they wish for. 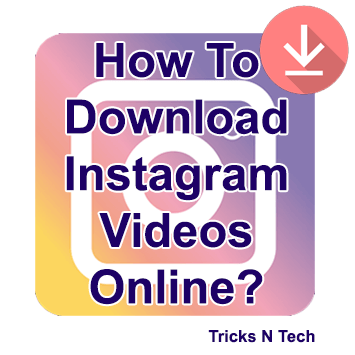 So in order to bypass the limitations of the official Instagram app, there are many apps on board to help you download Instagram videos, photos and stories from Instagram. Just surf the play store and you will surely find one. You can consider IG Live if you have iPhone or StorySaver if you have android. If you love advanced moded app then you should definitely give a try to Instagram++. The Instagram++ app is not only used as Instagram live downloader but also has many great features to use that general Instagram app don’t have. You need to click on “Add to Chrome” button at top right to install the extension on your chrome browser. Once it’s finished installing, you will be able to see the icon at the top right corner of your browser window. Visit Instagram.com on your chrome browser and log in to your account. You can also use the search bar to search for a user account. Just click on the download icon next to the Live Video Replays that you would like to download. The popup box will appear like given below. You can see the message, Instagram Live Videos are streamed from 2 separate sources – one for audio and one for video. So, You have to download audio & video file of live video separately by going to each URL one by one. As you can see in the above image, you can download both video & audio file after opening their URLs. You can find both the files in your Downloads folder. Unfortunately, you have to merge the audio and video files into one. That’s it! You have successfully saved the Instagram Live Video into your PC or Laptop. This trick is helpful only when the user has posted the live video as a story to their feed. Only then you can easily download Instagram live stories. Some more features of Chrome IG Story are given below. As you can see your Friend’s Stories below Live Video Replays tab, You can click on your friend’s story and you can see the story on the right side. Now, If you want to download that story then simply click on the download icon. The video will be shown on the right and download will start as a zip folder. Now just open the zip folder on your computer and you will find all the stories as mp4 files there. This chrome extension also allows you to explore the popular live videos by providing tools for navigating Instagram videos. Explore – Stories based on your interest, friends, friends following, location, etc. Yes! We know this feature will interest you the most out of all. You will see an eye-shaped icon at the top before pop out. This icon will allow you to go anonymous and view the stories of your friends without letting them know. The eye-shaped icon means that you are visible and the slash on eye icon means that you are not visible. Disclaimer: Before downloading someone’s live video, take the permission from them. You should not download anyone’s live video without their permission. We have showed you how to save instagram live videos of others. We hope you found this article useful and we wish you happy downloading live videos & stories. If you have any query then you can comment below and don’t forget to share this article with your friends. Nice Article! Thanks for sharing your great thought with us.